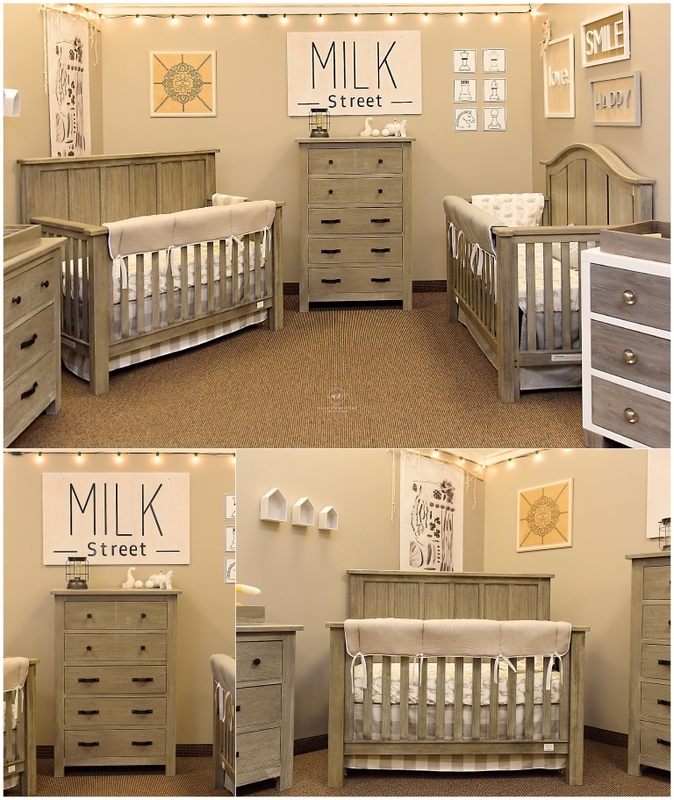 This Saturday, Berg’s Baby welcomed Milk Street Baby furniture to their store! I had the pleasure of meeting Dave, Berg’s Baby’s owner, and Julie, the designer at Milk Street Baby! What a great combination of design and service. Milk Street was conceived from the designer mind of founder Julie Knisley. She successfully designed for luxury furniture lines for brands such as Restoration Hardware and Pottery Barn. Crib safety is a passion of Julie’s and she was able to utilize that passion and her design experience to create a high value crib line 3 years ago called Lolly & Me. This crib line, which is affordable, accessible and has a high emphasis on safety, continues to be a hit with parents around the country. A big part of the Milk Street mission is to educate and support each other and to keep our babies safe. Julie is committed to and extremely knowledgeable about every aspect of safety. 97 years ago, Berg’s Baby was founded on Millionaire’s Row in Cleveland, Ohio. As one of the first baby furniture stores in the United States, Berg’s has been the go to spot for the safest, healthiest furniture for babies, children, and teens. They are known for incredible selection of furniture, product knowledge, and personalized customer service. The details of Milk Street combined with the service of Berg’s Baby is a winning combination. Julie has thought of all the details, from lights in the drawers and below the crib, to the safest finishes, you can sleep easy knowing your little one is in the safest crib on the market. Looking for furniture for your little one? Stop in Berg’s Baby today to see Julie’s Milk Street collection. Thank you so much for stopping by the blog! Looking for a Cleveland newborn photographer? Please check out the portfolio.